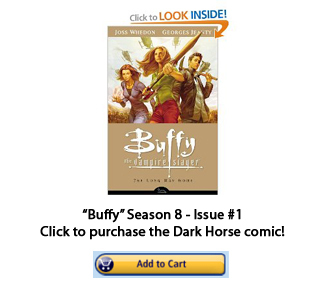 Buffy Season 9: Back to a Normal Life? “Buffy” Season 9 begins with the world having been separated from the demon dimensions and all things supernatural as a result of the end of Season 8. 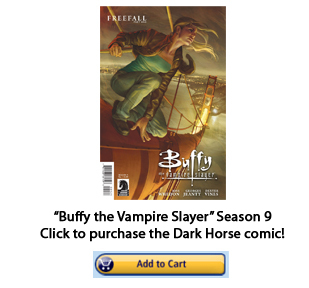 While that may sound like a good thing, there are negative consequences: Willow is powerless, the line of vampire slayers has ended, and all of the (former) new slayers are now angry with Buffy. Buffy and the Scoobies leave the old base in Scotland for San Francisco, where Buffy has a job, an apartment, and roommates. After the events of Season 8, Buffy wakes up at the beginning of Season 9 — perhaps hungover — with flashbacks of the prior party. Did she hook-up with one or more of her friends? Did she do something embarrassing? She’s not sure, and she’s not sure she wants to know. Her boss told her not to come into work… Did she hit on a married man… bond with Andrew… have a chicken-fight in the pool? And then Season 9 begins with Buffy facing an issue that is well-known to twenty somethings, whether you happen to be the slayer or not. Creator Joss Whedon said that the “Big Bad” this season will be less “supernatural” in nature, and as the first issue of Season 9 shows, “Buffy” often deals with the issues of daily life in addition to fighting the forces of evil.